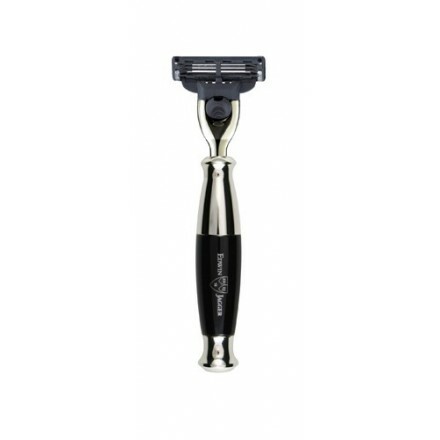 Edwin Jagger, black and chrome coloured razor for use with Mach 3 ® blades. 13 cm high, (approx 5 inches). 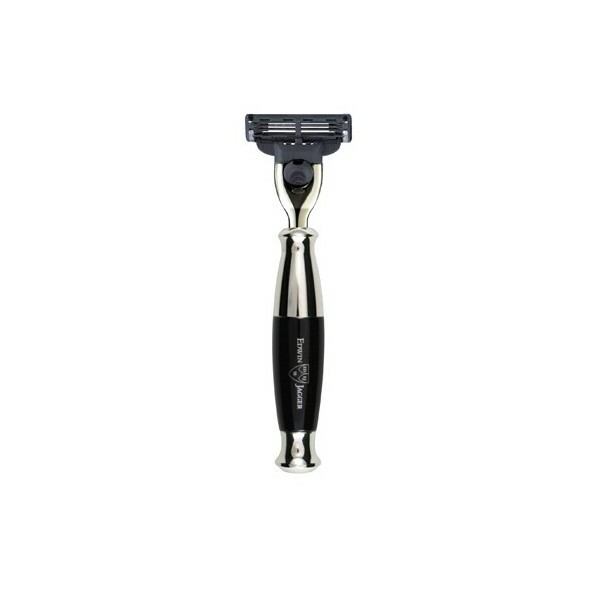 Elegant perfectly weighted razor with black and chrome plated handle. The refillable razors (Gillette Mach 3®) are hand assembled using lathe turned solid brass with Nickel and Chrome plated components or lathe turned, fine grade, dense polyester highly polished for over 50 hours! Fits our razor stand. Comes beautifully gift boxed.